94% of our clients responded that they were satisfied with the services they received at Henderson. Over 50 behavioral health programs targeting every age group from infants to older adults. Henderson Behavioral Health provides a continuum of high quality, community-based prevention, education, treatment and rehabilitation services utilizing best practice and evidence-based treatment models to maximize recovery. 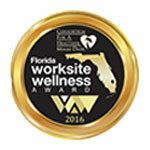 23,000 individuals served organization-wide at 20 locations throughout South Florida. 6,469 individuals who experienced a psychiatric crisis received immediate emergency services at our Crisis Walk-In Center. 1,667 individuals received immediate on-site assessment, crisis intervention, counseling, linkage, referral and inpatient hospitalization as necessary from our twenty-four hours a day, seven days a week, every day of the year, Emergency Mobile Response Teams. 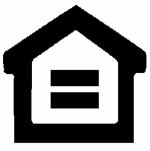 HBH provides 18 group home beds for boys ages 11 – 18. Helping Individuals Live Longer (HILL) program- Henderson served as participant’s health home for over 700 individuals by providing on-site coordinated and integrated primary and behavioral healthcare and wellness activities. The American Safety and Health Institute – as the official training center in Broward County, Henderson Behavioral Health trained 536 mental health providers in important areas such as Domestic Violence, HIV/AIDS and Safety and Security. As a participant in more than 25 Community Fairs and health-related events, HBH had more than 12,000 visitors to our booths. Key “Speaker’s Bureau” personnel spoke to more than 80 different groups reaching more than 5,500 people. Research paves the way for prevention, recovery and cure and Henderson is committed to contributing to that knowledge base. Henderson participates in cutting-edge research on evidence based practices, emerging best practices and recovery-promoting services for individuals with severe mental illness. Systematic pursuit and dissemination of such knowledge, has been a cornerstone of HBH’s long history. Please review our study participation here. Received the highest Level of Accreditation (three years) from the Commission on Accreditation of Rehabilitation Facilities (C.A.R.F); an honor the organization has continuously maintained since 1992. 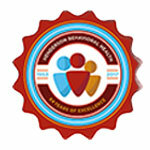 On November 30, 2010, Henderson Behavioral Health received the prestigious Federal SAMHSA (The Substance Abuse and Mental Health Services Administration) Science and Service Award. 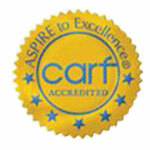 The award recognized community-based organizations and coalitions that successfully implemented one or more recognized evidence-based interventions. Henderson Behavioral Health was recognized for its Treatment of Mental Illness and Recovery Support Services category, specifically our Youth & Family Connections Case Management program utilizing the “Wraparound” model. Wraparound is a means of delivering unconditional care to children and their families and a process that provides individualized, strength-based, needs-driven planning to meet the complex needs of children involved with multiple systems (e.g. mental health, child welfare, juvenile justice, special education). Wraparound is highly effective in helping the child and their family recognize, utilize, and build talents, assets, and positive capacities. Henderson’s First Episode Psychosis program began in October 2014 with the goal of early intervention at the initial onset of psychosis to improve each person’s recovery and treatment. 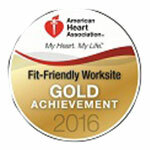 Henderson Behavioral Health has received Gold-Level recognition from the American Heart Association’s Fit Friendly Company continuously since 2010. Florida Department of Children and Families and The Florida Alcohol and Drug Abuse Association presented Henderson’s BRIDGE Project with the “Substance Abuse Services Best Practices Award”.